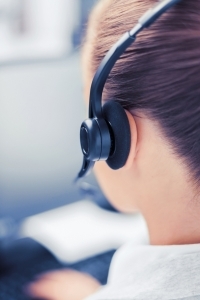 Call center monitoring software: Is yours working? Call center monitoring software is important. If you are managing a contact center, chances are you are using call center monitoring software. But is your software really doing what you need it to? Or are you missing out on valuable data and efficiency improvements? If you aren’t sure, it might be time to look into an alternative solution. Call center monitoring software enables the recording and review of customer interactions. This allows for objective measurement of associate performance. It also facilitates the gathering of call statistics and data that help the contact center operate more efficiently. Is your call center monitoring software working for you? Just as there are many different types of call centers, there are many different variations of call center monitoring software. It is not a one size fits all scenario, and just because you have a highly rated call center monitoring software program doesn’t mean that your organization is maximizing the available benefits. • Does your call center monitoring software track all of the key metrics important to your business? • Is the information provided by your system clear, objective, and actionable? • Are you paying for features that you don’t need, or that don’t apply to your business? • Is your software nimble enough to grow and change with your organization’s developing needs? If you’re not happy with the answers to the above questions, it might be time to find a new call center monitoring software partner. With so many options available on the market, you should be able to find a solution that is within your budget and fits your needs. Don’t be daunted by the process of switching services- a good partner will help make the transition as close to seamless as possible. If it seems like your current call center monitoring software leaves something to be desired, you will want to evaluate other options. Consider contacting the expert team at Evaluate Quality, founded from Sage Advantage in the Phoenix/Scottsdale AZ area. Evaluate Quality can help your company evaluate gaps in your current processes and design the perfect call monitoring program for your specific needs. They will assist you with every step of transition and management to make sure you are satisfied with the results from your new system. Whether your business is in Scottsdale, Phoenix AZ, or elsewhere in the United States, Evaluate Quality can be your new partner in call center monitoring and reporting. They are experienced in identifying and designing solutions that are tailored for their clients. Contact Evaluate Quality today to schedule your no obligation demonstration. By backoffice| 2018-02-06T19:45:41+00:00	February 7th, 2018|call monitoring software|Comments Off on Call center monitoring software: Is yours working?